Going to bed and putting on your sleep mask or even applying face scrub without removing your makeup is one of the biggest mistakes you can do to your skin. Failing to take off your makeup can put your skin at risk of breakouts and premature skin aging. It can also cause you to wake up with dull and tired-looking skin. To save your skin from all these troubles, we decided to put together a list of the best makeup remover wipes out in the market today. They are the perfect solution to when you’re just too tired or too lazy to go through a proper makeup removal routine. 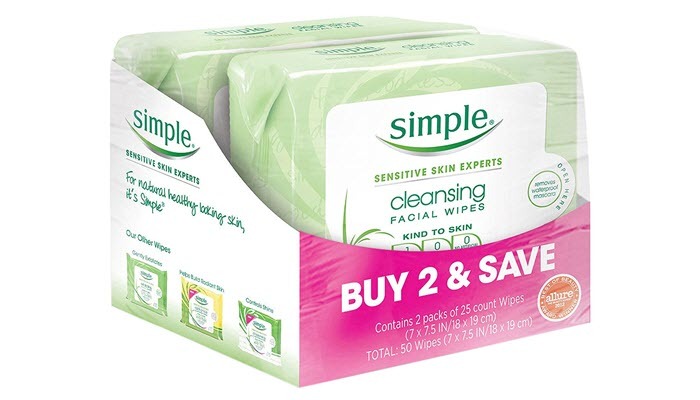 If you have dry skin, Simple Kind To Skin Facial Wipes is a highly recommended product. In fact, it’s the best makeup remover wipes we can recommend. It’s made with triple purified water and enriched with provitamin B5 to hydrate, soften and smoothen your skin. As for its makeup removing properties, this one is a tough worker in that it can remove waterproof makeup. And there’s no need to rinse your face after. It has no dyes, chemicals or perfumes so your skin has fewer chances of reacting negatively. The product isn’t only great for removing makeup. 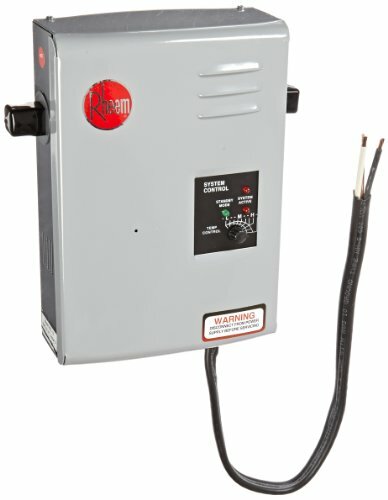 It can get rid of dirt and oil, too. You can use it when you’re on the go, after your gym session or whenever you need to freshen up in your car. 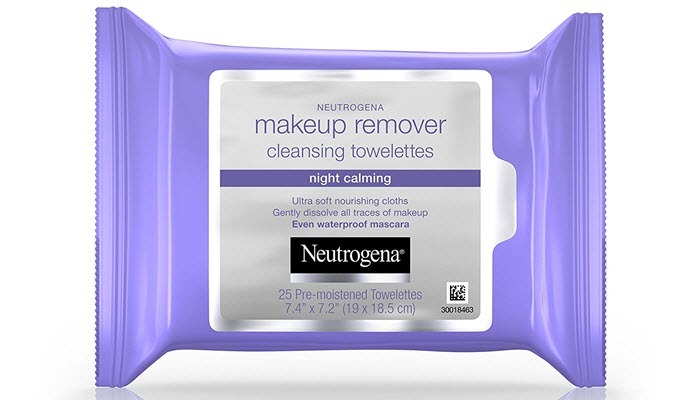 Neutrogena Makeup Remover Cleansing Towelettes & Wipes made it to this list for a handful of reasons. For one, it has the ability to remove waterproof makeup without the need to rinse. It’s alcohol-free and tested by dermatologists and ophthalmologists to be safe for those with sensitive skin and contact lens wearer. Plus, it’s allergy-free, too. The wipes are formulated for night time use and are infused with a calming scent to help you relax. The quality of the wipes is great. It doesn’t easily separate and is quite thick. Another interesting benefit of the wipes is the moisture they provide after use. Unlike most wipes that tend to dry the skin out, this one is a bit hydrating. 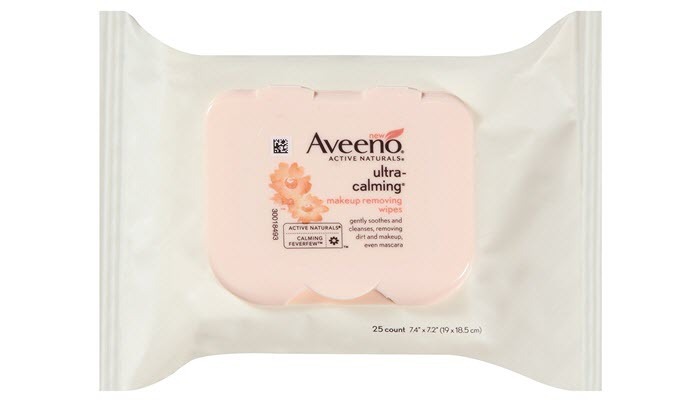 For those with sensitive skin, Aveeno Ultra Calming Cleansing Makeup Removing Wipes is a great product to invest in. It contains 25 counts of wipes that are capable of removing oil, dirt, and makeup. It can even soothe and calm irritated skin with its chamomile and Calming FeverFew contents. Calming FeverFew is known to be a potent anti-irritant that’s also loaded with antioxidants to protect your skin. One impressive feature of this product is its packaging. Instead of a peel-back resealable tape, you get an actual resealable plastic lid. This saves you from the inconvenience of drying your wipes out and exposing it to bad bacteria in case the sticker loses its stickiness. The wipes are thick and one sheet is enough to clean your entire face. Despite being sturdy, they are actually gentle on the skin. 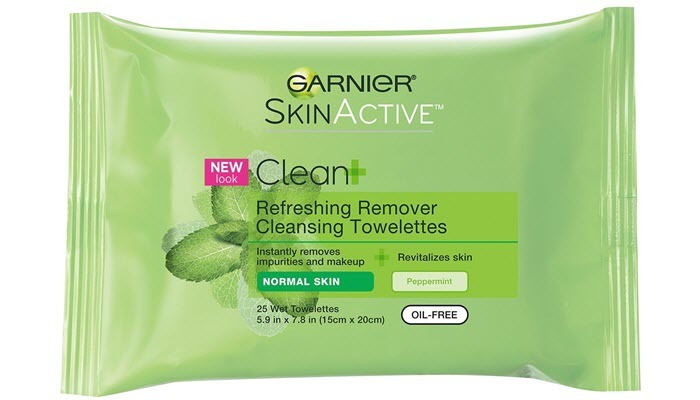 Garnier Skincare Refreshing Cleansing Towelette is one of the cheapest makeup remover wipes you can get. Despite its low cost, it actually performs well, especially for normal skin. It’s 100% oil-free and can effectively remove oil, impurities, and makeup. It also has the ability to revitalize the skin with its grape water extract. If you have sensitive skin, however, make sure to test it out first. The wipes are also infused with peppermint extract which can be irritating for some, especially those who have asthma. 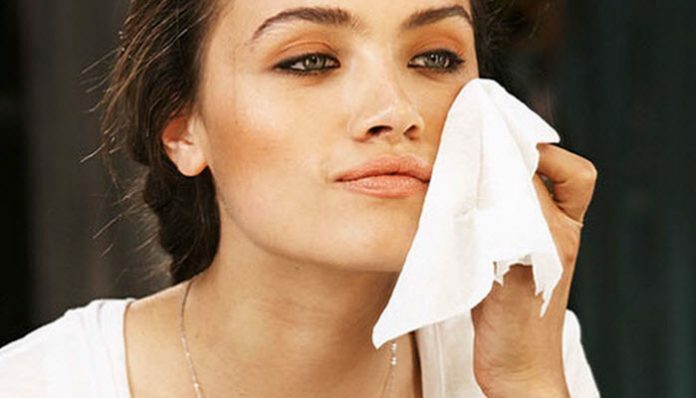 Makeup remover wipes are often considered as a short cut. No need to apply a makeup remover, rinse the skin, use a cleanser and then rinse again. If you are thinking this way, it’s probably high time to recheck the facts. Here are the pros and cons you should know about using these handy wipes. Makeup removers can save your skin when you’re too lazy to take your makeup before hitting your bed. Most makeup wipes come with a no-rinse formula- just wipe off and you’re good to go. Some makeup remover wipes come as an all-in-one solution. They can remove makeup, provide micro-exfoliation and leaves the skin moisturized. They are helpful in making sure sweat, dirt and oil don’t stay on your skin after your workout. These things can easily clog your pores and cause skin breakouts. They make makeup removal easier, especially if you are wearing waterproof products. Makeup remover wipes, although beneficial, shouldn’t be used as an alternative to proper skin care. It’s a quick fix for certain situations but you shouldn’t completely rely on them in cleansing your skin. Your pores, for example, need deep cleansing to prevent acne. Some makeup remover wipes contain harmful chemicals that can easily get pushed into the skin. They can cause irritation and dryness. To prevent this, make sure to rinse your face every time you use them. Even though brands claim that their wipes don’t require rinsing, take the extra step to protect your skin. Although these wipes come with a resealable lid, it isn’t a guarantee that they’ll remain free from fungi and other bad microorganisms. This is a risk more commonly encountered with wipes that come with resealable stickers. Using makeup remover wipes to take off waterproof makeup can take more effort. As a result, you pull and tug your skin a little more. This can increase wrinkle formation and skin sagging.